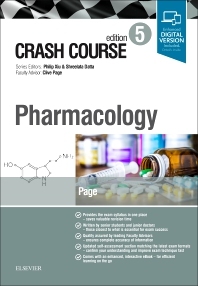 Series volumes have been honed to meet the requirements of today’s medical students, although the range of other health students and professionals who need rapid access to the essentials of pharmacology will also love the unique approach of Crash Course. Whether you need to get out of a fix or aim for a distinction Crash Course is for you! GP Registrar, Yorkshire Deanery, Leeds, UK.